Steven (Chicagoland, United States) on 29 November 2010 in Landscape & Rural and Portfolio. 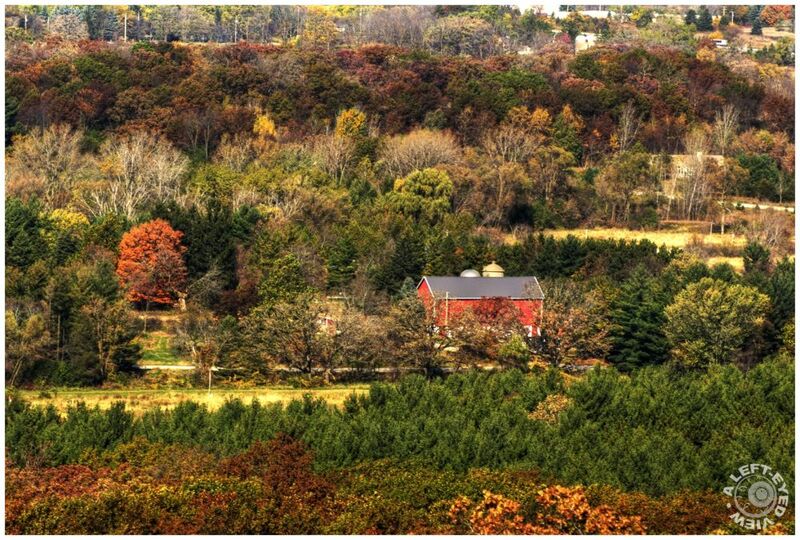 Barn spotted from the Parnell observation tower at Kettle Moraine State Forest - northern unit in Wisconsin. The 60-foot wooden observation tower was rebuilt in 1988 and offers a panoramic view of the forest and surrounding farmlands. On a clear day, one can see about 25 miles, including the Milwaukee skyline to the east. Photo captured on October 16, 2010. A lovely landscape and point of view. Your focus is really fine and magic somehow. Colors are terrific, everything seems so friendly and warm. It stands out well amongst the autumnal colours. the little red barn, almost lost in this abundance of color! what beautiful scenery! Stephen this is really beautiful! What a variety of colors and tones...great view too!! What a wonderful setting . . looks like something from a storybook. An excellent birds eye view! You got a super view of that barn and colorful trees. Great stuff.